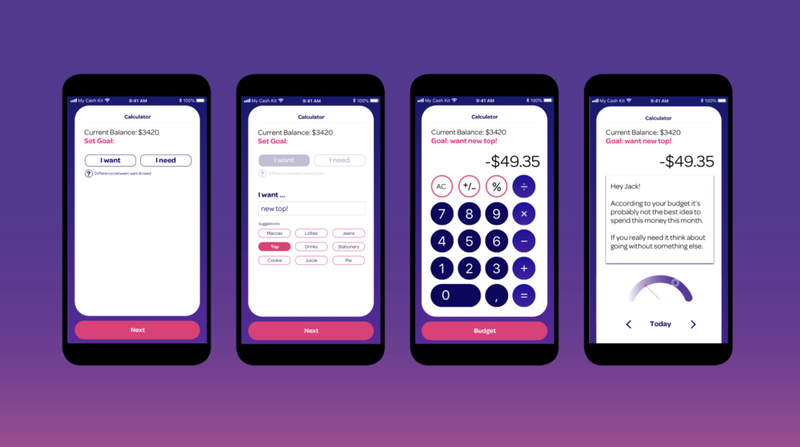 My Cash Kit is an accessible toolkit which presents an engaging and empowering way for year 9 and 10 New Zealand students to learn about financial capability in a relatable, safe, and supportive environment. The digital game is designed to be supplementary to the school curriculum. 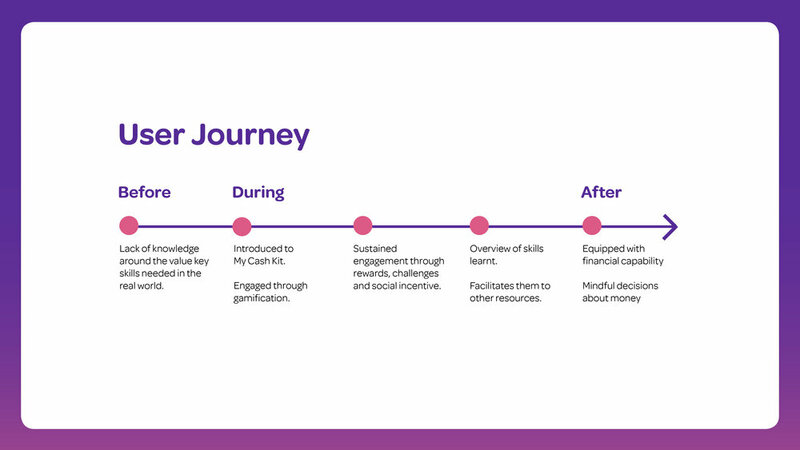 My Cash Kit Year financially equips year 9 and 10 students before they enter the real world, as students can legally leave school after they turn 16 years old. I worked in a team of three on this start up project, in which we contributed equal effort. The user earns “money” by going to classes. They pay “rent and expenses” to be a part of their school house. “Activities and challenges” surrounding finances are presented to them everyday, and they can calculate the impact of their choices.